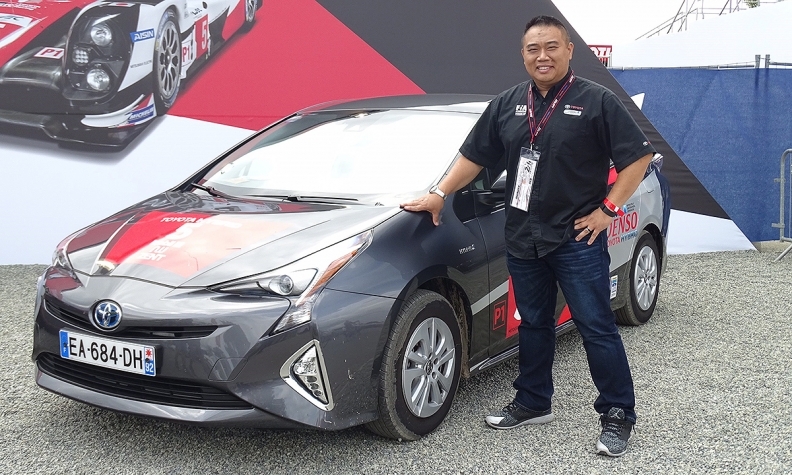 As the Product Quality Manager for Toyota Canada, Vinh Pham leads a team of seven product quality specialists responsible for the product quality of Toyota and Lexus in the Canadian market. But with an engineering background in advanced powertrains, and a passion for motorsports, he seems also be to the company’s unofficial “hybrid” hot shoe. He regularly teams up with Canadian rally veteran Alan Ockwell. Their successes piloting various Toyota hybrids in various eco rally events around the world, including the FIA Alternative Energies Cup in Monte Carlo, earned them an invite from the 2016 Nimes-Ales eco-rally, recently created to promote advanced technologies in Southern France. Piloting a new 2016 Prius, they went on to win the Hybrid category and placed second overall, averaging 4.2 l/100 km, which is actually better than the official Transport Canada fuel efficiency rating. They did this despite having to drive more than 300 kilometres in mountainous terrain and complete a 30-minute track stage, where they were required to maintain 65 km/h. But for Pham, the highlight was the fun behind the wheel. He noted the lower centre of gravity of the new Prius made it a treat to drive hard.